Fall is just around the corner! 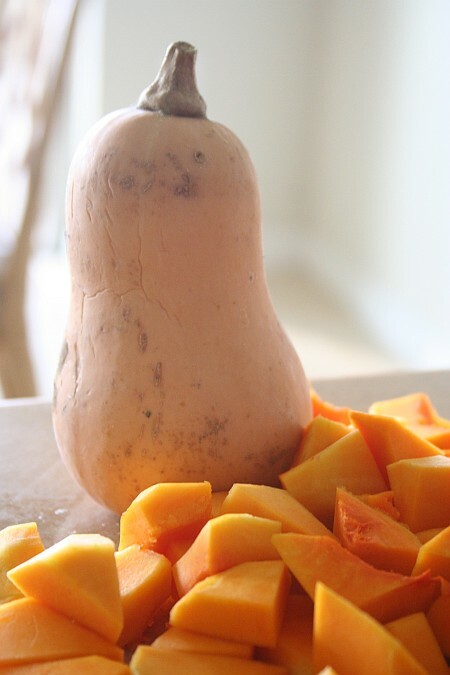 Butternut squash is one of my favorite cold weather foods. I've found that it's much easier to peel a butternut squash if you microwave it for about 3 minutes. The skin should come off much easier with a paring knife after being "cooked" for a little while in the microwave. This recipe consistently disappears as soon as it is made! Last year I used this recipe in an "Iron Chef" type competition where the primary ingredient had to be butternut sqaush and the judges LOVED this recipe! In a small saute pan, heat 1 teaspoon of the olive oil over medium heat. Add the garlic and saute until it is soft, but not brown, about 1 minute. Add the squash and carrots. Cover and steam until just tender, about 12 minutes. Remove the vegetable mixture from the heat and allow it to cool before adding the tomatoes. In a small bowl, mix together the rice vinegar, 1 tablespoon olive oil, cumin, jalapeno and cilantro. Add a little lime juice and a pinch of sugar to taste. Pour the mixture over the cooled vegetables and toss to mix. Serve at room temperature. This is best made ahead so the flavors can blend. Serve with tortilla chips or atop grilled chicken. It also looks adorable when served in a hollowed out pumpkin, gourd, or squash. That sounds interesting! I love butternut squash! I cook with squash so much, but I have never thought of making a salsa out of it. This looks so yummy! I make something similar with summer squash but am so trying this soon. Thanks bunches for sharing! Oh and I use the microwave trick too. I never cut into squash like butternut or acron without zapping it first.